Our naturally-tapered synthetic extensions are made of premium-quality blended cotton fibers. Once they're in place, they look just like your natural lashes, only longer and fuller. Supermodels and entertainers have known about and loved lash extensions for years, but they've only recently become widely available to the general public. These days, both women and men are wearing them, not only for special occasions, but for great-looking, carefree lashes every day. People whose natural lashes are missing due to illness, injury or chemotherapy cannot wear extensions. Before your first application, we consult with you to decide on the perfect lash look for you. The initial full application normally takes 45 to 90 minutes, depending how many lashes we apply. Touch-ups usually take about half an hour or less. 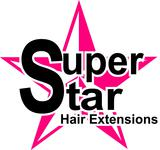 Each extension is bonded to a single natural lash. Properly cared-for extensions will stay in place for as long as two months, the maximum amount of time the your natural lash will hold. Most people are able to achieve just the lash look they want without needing mascara. If you do use it, make sure it's water-based and never waterproof.